To get this effect, I inked up the entire stamp with Soft Sky, then inked it a wee bit down from the top with Lost Lagoon, and then finally, inked the bottom portion with Island Indigo. If you go from light to dark, you don't need to worry about inking over top of a previously-inked area! I love how it turned out! I added a silver star with an enamel dot, although it's hard to tell that I used Silver Foil, but I promise I did! Finally, I inked up "birthday boy" from the "Hello" SAB set and cut it out in a banner and backed it with a Silver Foil banner as well, and adhered it all together! I stamped the birthday sentiment from Suite Sayings on the inside, and added another star with a candy dot just for fun! And Grammy had to do some experimenting with SU inks and Itty Bitty Bits on a plain white hardboiled egg! It was tricky, a little smudge-prone, but fun! Happy Resurrection Day to you! I love the masculine ombré card - the party hat and sentiment make it really fun and the little touches of silver are just enough sparkle that you can get away with on a man's card! Egg dying looks like a lot of fun - great attempt at your stamped egg, that looks like it was very tricky but a cute end result. Awesome sketch this week LeAnne! 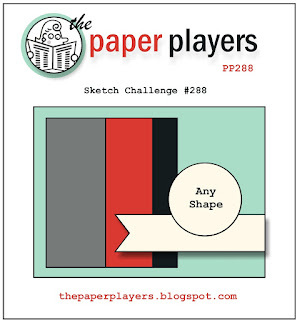 Great sketch and your card is fabulous in shades of blue! Looks like you and Cassidy had fun with all those eggs - where did the baby go? Happy Easter! The array of blues and the chevron textures are great! The horizontal stitch adds to the pop! Have a Happy Easter! love this card LeAnne ~ that party hat is adorable ~ well done with the Easter egg decorating! He Is Risen!!! Oooh, love your ombre card and the striped stamping on the birthday hat--so clever! 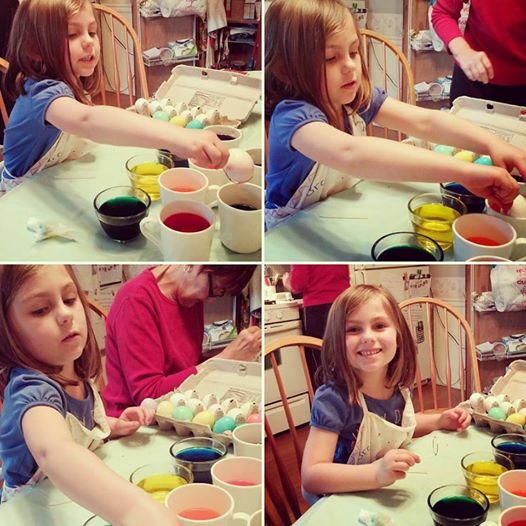 Cassidy has the best grandma--love your stamped egg! Fun sketch LeAnne!I love your guy card, and shame on you for neglecting those gorgeous blues when you make such awesome cards with them! The ombre is fun and love that embossing too. 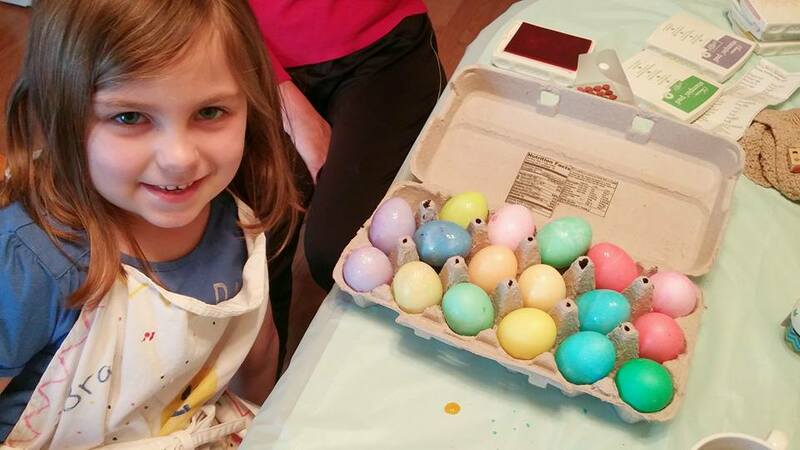 Looks like lots of fun decorating eggs...hope you all had a blessed Easter! Hope you enjoyed a wonderful Easter LeAnne!! Looks like Cassidy enjoyed coloring the eggs. Your card is so much fun I like the away the chevrons appear to be pointing to the cute party hat!! I love the colors on this one also, and how you tied them together with the embossing. Awesome sketch, too! I haven't died eggs in ages. I love the stamped one! All my favorite colors, LeAnne, put together beautifully on one awesome card! Love it! Love your sketch, too!